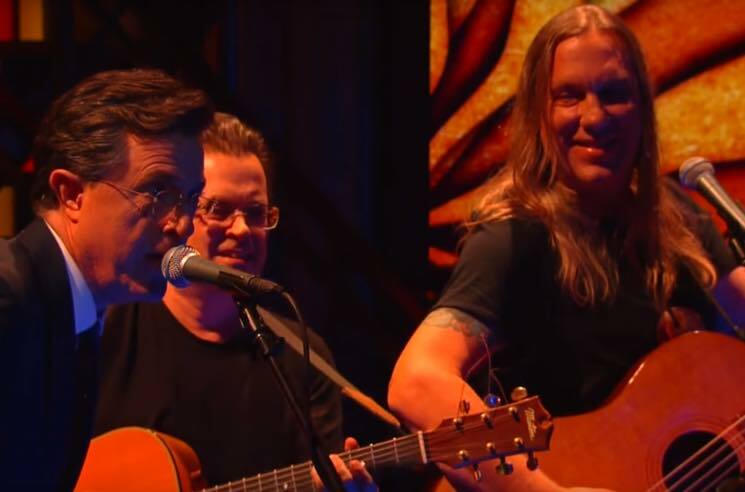 Violent Femmes are gearing up to release their first album since 2000's Freak Magnet, and to support the impending We Can Do Anything, the band dropped by The Late Show with Stephen Colbert last night (February 23). The group kicked things off with their most recent single "Memory," before bringing out the show's host for a, uh, blistering rendition of "Blister in the Sun." Colbert's vocals prove a delightful accompaniment to the charcoal grill drumming and audience participation, putting a fresh spin on the iconic alt-rock anthem. We Can Do Anything arrives on March 4, and you can catch Violent Femmes live on their upcoming North American tour dates listed below. Scroll past those and hit play to check out the band's performance on The Late Show.